All 17 Ralph Lauren promo codes have been verified and tested today! Sign-in with your RalphLauren.com account information, or create a new account right on the app, and you can start receiving insider access to limited edition styles and new collections. Plus, you’ll be the first to know about upcoming releases, exclusive app content, and more. You can shop for all of your favorite fashions and get a big discount when you apply a Ralph Lauren promo code to any of your orders. Through the app you can start joining the conversation by voting on styles Ralph Lauren should release next. You’ll also get a completely customized list of apparel and accessories based on your preferences and previous purchases. Get all your favorite apparel and accessories delivered to you at no cost. If you spend over $125, you’ll receive free shipping on your entire purchase. No need to have a special Ralph Lauren coupon code, this discount will be automatically applied to your Shopping Bag at Check Out when you select Fast shipping. You will receive your order three to four business days after you’ve placed your order. Want to receive special offers and Ralph Lauren coupons straight to your inbox? Subscribe to the email newsletter and you’ll get exclusive deals on iconic styles, seasonal essentials, and future collections. Plus, you’ll get reminders to complete your order when you’ve had items in your Shopping Cart for a few days. Additionally, Ralph Lauren will share a customized list of apparel and accessories perfect for you based on your previous purchases and interests. Get the perfect fit, every time. You can receive complimentary alterations in select stores, without needing a Ralph Lauren coupon. Just present a copy of your order invoice to the store and Ralph Lauren will take care of your alterations. You can find the full list of stores that make alterations on the website. Complimentary alterations are only made on items purchased at full price, although sale items can be altered for an additional fee. Did you find multiple Ralph Lauren discount codes and want to apply them all to your next purchase? When you shop online, you can! Just enter as many promo codes to your order as you wish before Check Out. You can apply your promo code in the box to the right of the items in your Shopping Bag. Just enter the special code and hit “Apply.” You’ll see the savings immediately reflected in your order. If you’re not satisfied with your purchase, you can take advantage of the free returns policy. Ralph Lauren will accept items that are in new condition and have not been worn, washed, or altered. Ralph Lauren gifts you’ve received. All watches need to be in perfect condition with all of the protective material still attached. Unfortunately, you cannot return any personalized items, gift boxes, and home lighting. Ralph Lauren makes it easy to return your items. Just print out the pre-paid postage label and attach it to the box. It normally takes the warehouse up to 12 days to receive and process the returned items and you will get an email alert once your return has been processed and completed. You’ll receive a refund back to your credit card, gift card, or PayPal account. Love shopping at Ralph Lauren? Now you can get the perfect outfit for every occasion and receive a big discount. You can find all the flattering, versatile outfit essentials for a whole lot less when you use a Ralph Lauren coupon on your next order. Check back often for the most exclusive deals and offers. Some discounts are only available for a limited amount of time, so be quick and save while the deal you want is still available. It’s always the season to save with Ralph Lauren sales events happening all year round. You’ll find some of the best offers on the latest closet essentials and iconic pieces during major holidays and special shopping days. Don’t miss big sales on holidays like Thanksgiving and Memorial Day Weekend and get huge discounts during seasonal sales like the Winter Sale. Of course, you’ll find some of the best deals during the Black Friday and Cyber Monday specials. One of the most popular limited-time sales events is the Holiday Sale. 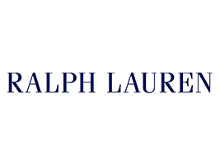 During the last sale, shoppers received up to 60% off select items throughout the store and took an extra 25% off select already-reduced styles if they used the special Ralph Lauren promo code at Check Out. To be the first to know about limited time sales like these, subscribe to the Ralph Lauren email newsletter or download the POLO app. You’ll be notified whenever one of these sales pops-up so you won’t miss your chance to save big. When you’re looking for a great deal, look no further than the sale section. You’ll be surprised by the huge selection of men’s, women’s, kid’s, and home styles you’ll find for the fraction of the price. Plus, you can apply a Ralph Lauren coupon code to your order and save even more. You’ll even see discounts on a variety of home items like cozy bedding, throw pillows, bath towels, dinnerware, and much more. Don’t forget to shop sale items for your pet. Save big on adorable leather leashes and the cutest cashmere sweaters for your best furry friend at an incredible price. Items are added to the sale section frequently, so check frequently so you don’t miss a great deal on your next Ralph Lauren purchase.